Have a family game night! Bring a favorite game to the table and play while you eat. What is one thing you hope we can do together this weekend? These simple tostadas practically cook themselves! 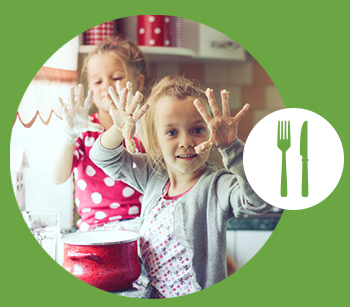 Add a fun and flavorful flair to breakfast or breakfast-for-dinner by encouraging each family member to customize their plates with healthy toppings. We’ve suggested avocado and salsa, but you could offer diced tomatoes, shredded lettuce, black olives, beans, or whatever combinations you can dream up! 2. Lay the tortillas on a baking sheet. 3. Make a mound of cheese in the middle of each tortilla, then form the cheese into a ring with a depression in the center. 4. Carefully crack an egg into the depression in each mound of cheese. The cheese will hold the egg in place and keep it from spreading. 5. 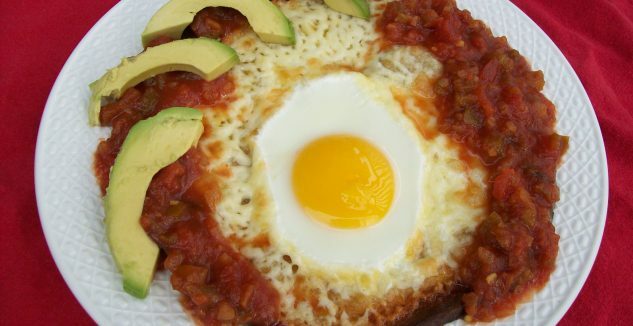 Bake the tostadas at 425 degrees for 10-15 minutes, until the cheese is melted, the tortillas are crispy, and the eggs are at your desired level of firmness. 6. Top each tostada with sliced avocado and salsa and serve hot.